Paul Manafort, Donald Trump's now-former campaign manager, submitted his resignation on Aug. 19. The move came after there had been significant transitions in the Trump campaign, now including Manafort officially taking himself out of the presidential election. Trump's statement on Manafort's resignation was short, but necessary as his campaign underwent yet another public shakeup. Pundits saw this coming. Michael Steele, former RNC chairman, said on MSNBC Friday morning that it's "not surprising" Manafort would officially step down in light of recent events within the campaign. 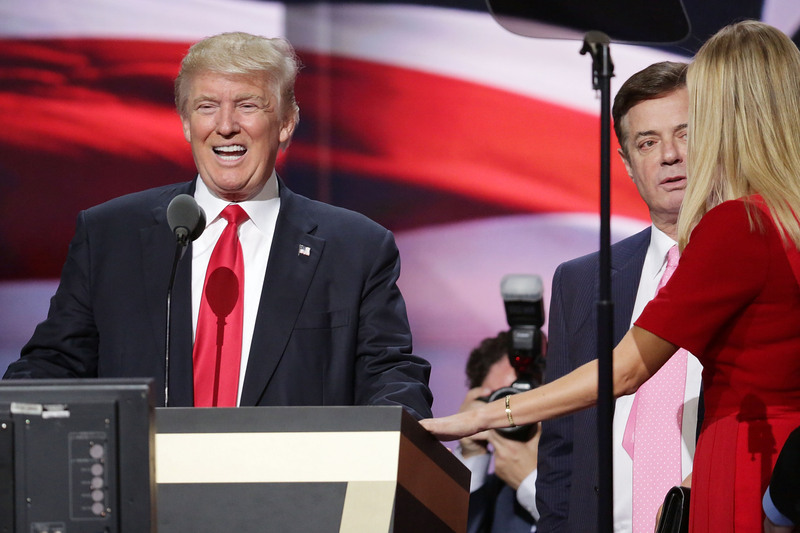 Trump's former campaign manager, Corey Lewandowski, has even openly called for Manafort's resignation since July, submitting that the buck should have stopped with him when it came to Melania Trump's speech plagiarized from Michelle Obama. It looks as though Trump saw the writing on the wall and was priming the move with the shifting of important people in the higher echelons of his team. Those recent campaign changes, happening less than three months before the election, have been rather dramatic. The swaps included a new campaign manager, Republican pollster Kellyanne Conway. On the surface it seemed like a good move considering she is respected in GOP circles and has a reputation for being level-headed. Moreover, she'd potentially help Trump with his pathetic lack of appeal to women, with her proven dedication to smoothing over other Trump missteps. But he immediately trumped the seemingly rational move by coupling Conway with Steve Bannon, executive chairman of Breitbart news, the alt-right, fringe media outlet, to head up the campaign. Not to mention how Bannon is considered the most dangerous man in politics. That's not hyperbole — he's literally been named the "most dangerous political operative in America." Manafort was originally brought on to "professionalize" the campaign, as some have referred to it, and to curb Trump's incendiary style, in an effort to make him appeal more to Republicans as well as the general electorate in the upcoming race. But, in an explanation on shuffling in a new team, Manafort's demotion potentially comes because he wouldn't "let Trump be Trump" a direct contradiction to why he was brought on in the first place. Also, in a stroke of irony, the guy who was brought on to create a more professional atmosphere and image has been exposed for being anything but. New details emerged Friday that alleged Manafort has received over $12 million from Ukraine, in part to aid Washington lobbying firms. Perhaps Manafort's resignation was a way for him to take the focus of his Russian scandal away from the Trump campaign. In any case, Trump doesn't seem to be too shaken up by his campaign loss.